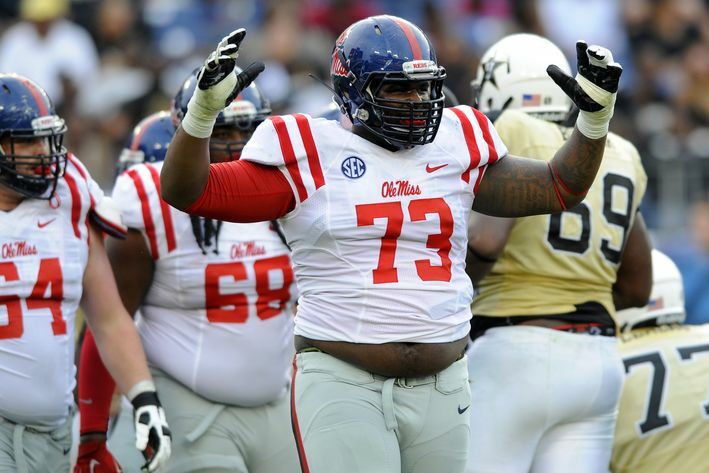 Shirts With Random Triangles: Ole Miss OL Roderick Taylor Tries To Leave Store With Two Bags Of Charcoal He Hadn't Paid For, Arrested On Suspicion Of Shoplifting. "Taylor placed but allegedly failed to pay for two bags of charcoal in a basket underneath his shopping cart while going through a self-checkout line, a source said. The source added his understanding of the case was that Taylor did so by accident and would have to go to court and pay the amount, approximately $40, before the charges would be thrown out." Ole Miss head coach Hugh Freeze said through a statement that "We are gathering facts on the matter, and if appropriate, we will address it accordingly with Rod internally." Taylor played in ten games for Ole Miss during its 2015 season. He has been sidelined during spring practice because of offseason shoulder surgery.